Taking over the reins at age 18, he’s had years to perfect his craft. He and his wife Brigitte manage the winery together and are affectionately known as the “Pittis.” As a great winemaker that respects the exceptionality of his land, Gerhard is all about “growing” the wine rather than “making” it. Geared toward minimalist winemaking and embracing the principles of biodynamics, the wines are what he refers to as “living wines.” With everything done by hand from composting to pruning to harvesting, the goal is to allow the terroir to speak loud and clear. Many of the wines are crafted without any of the extras – additives, preservatives, cultured yeasts, or filtration. And that excellence certainly has not gone unnoticed. 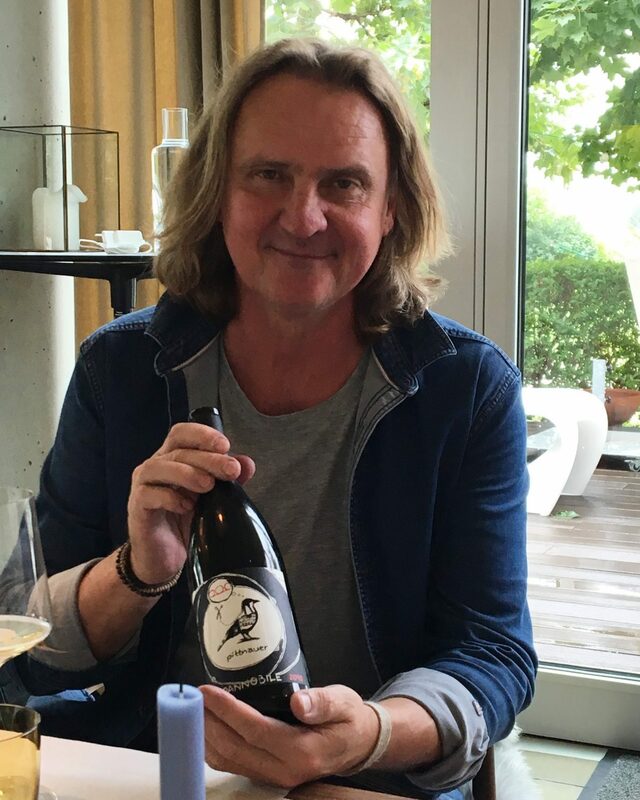 Gerhard was previously named “Winemaker of the Year” by Falstaff magazine in 2014. 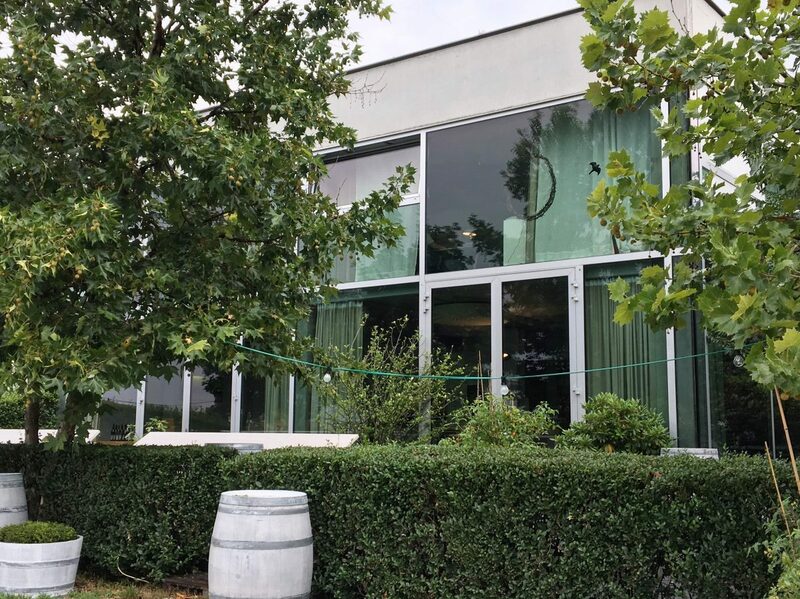 In 2001, the Pittis moved into their sleek and beautiful winery amidst the vineyards that just invites you to while the hours away. 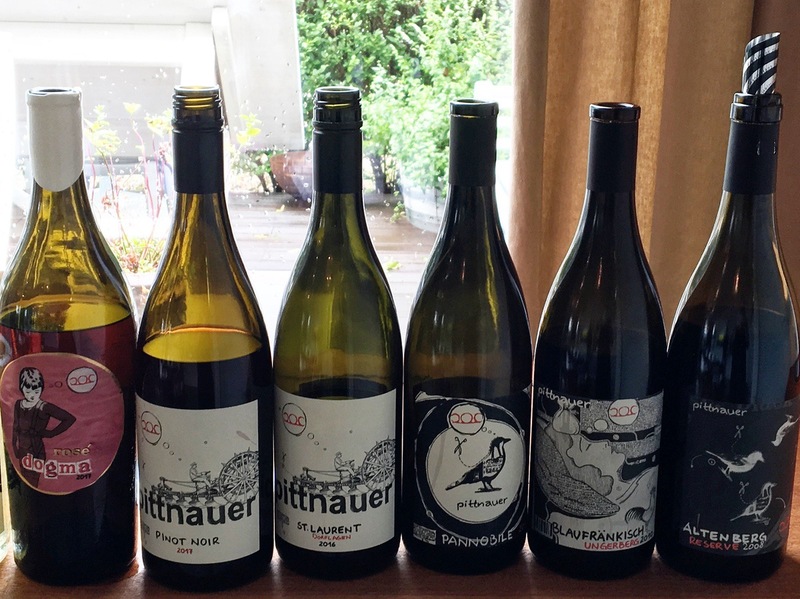 As with some of the other winemakers I met with, Weingut Pittnauer is a member of the Pannobile Wine Group, a prominent growers’ association in the village of Gols. 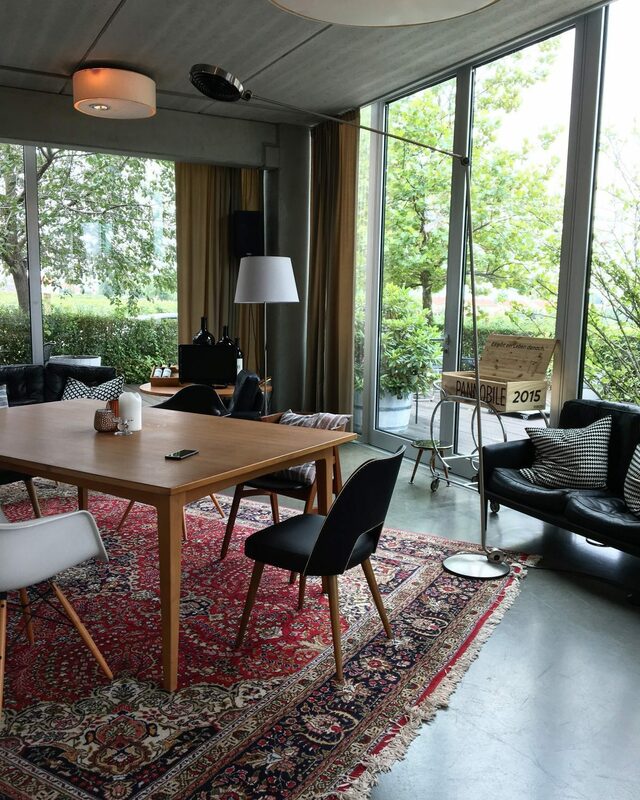 The purpose of the group is to ensure high-quality wine production that exemplify the best of the region. 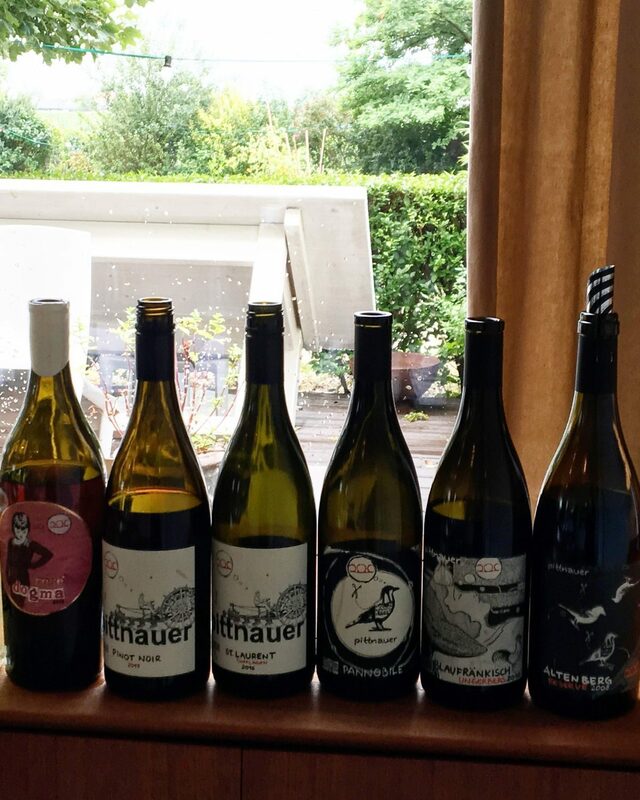 I tasted seven wines with Gerhard. First up was a Petillant Naturel (“Pet-Nat”) wine comprised of six different grapes – Riesling, Gruner Veltliner, Muller Thurgau, Welschriesling, Sauvignon Blanc, and Pinot Gris.3 Whole-bunch pressing with no additional sulfur led to a fresh, crisp easy-drinking wine with bursts of citrus and honeydew that is perfect for my Texas heat. 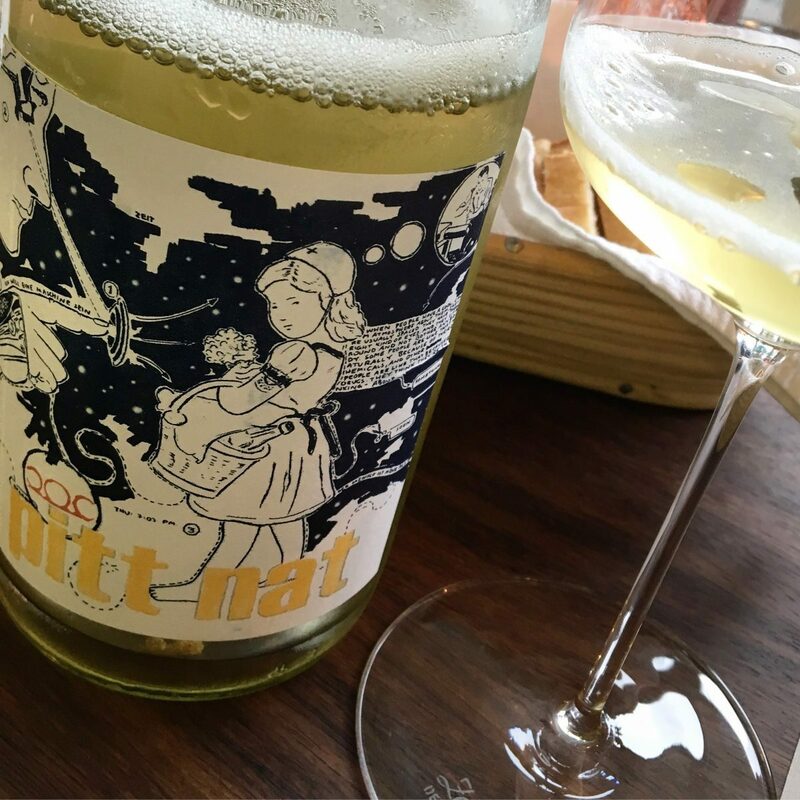 I’ve been in love with Pet-Nat wines of late and this one certainly delivered. 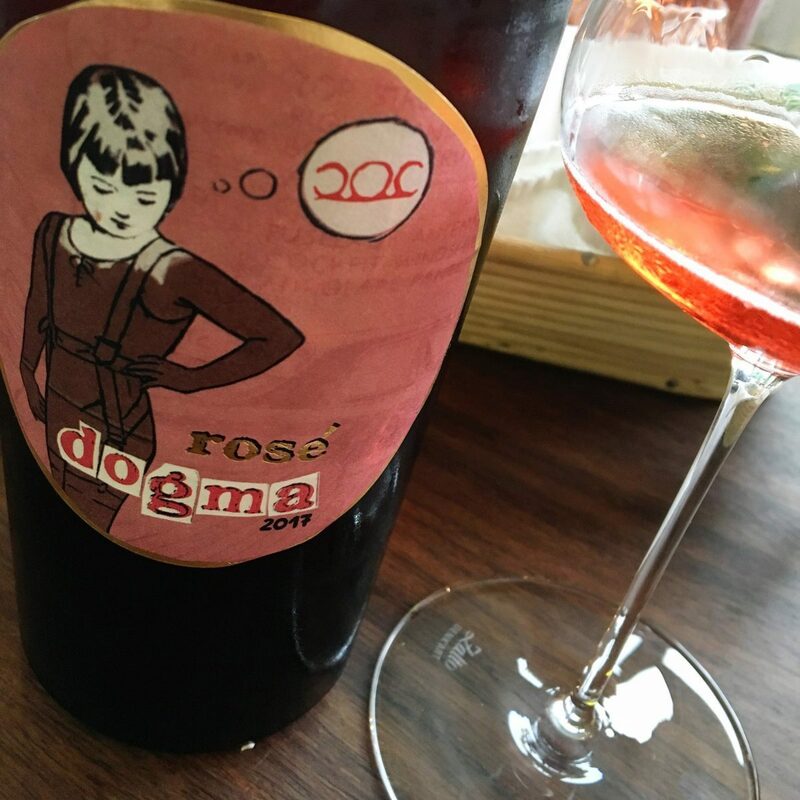 The Dogma line is used for wines without added sulfur as well as no filtration or fining to produce a wine with as little influence as possible. 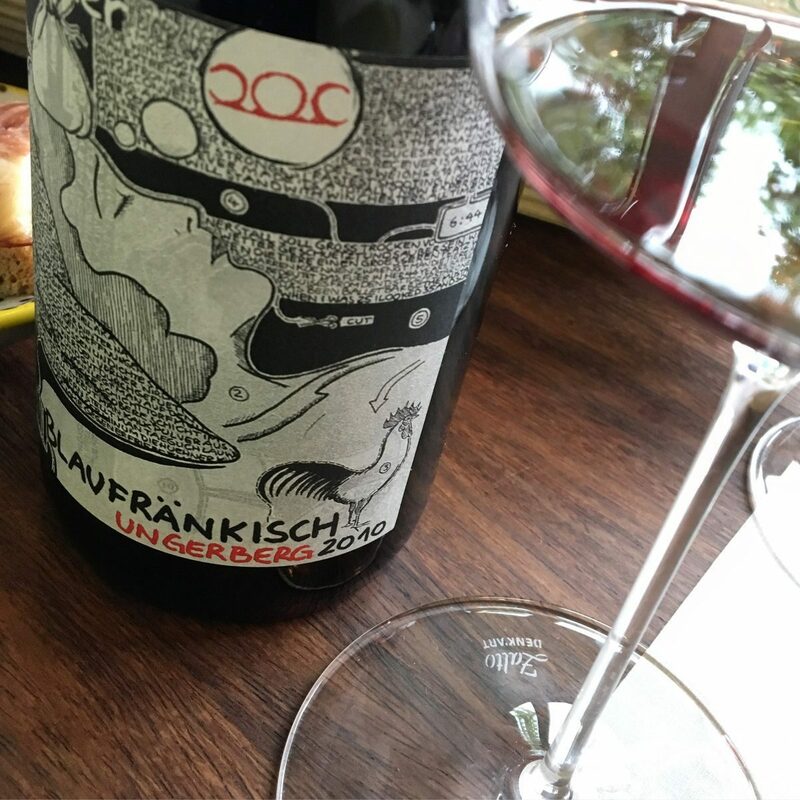 Crafted of 100% spontaneously fermented Blaufränkisch the wine was surprisingly complex and mineral driven with strawberry, citrus, herbs, and great acid. Light-bodied and would pair with a number of dishes. This is made for more than just quaffing. 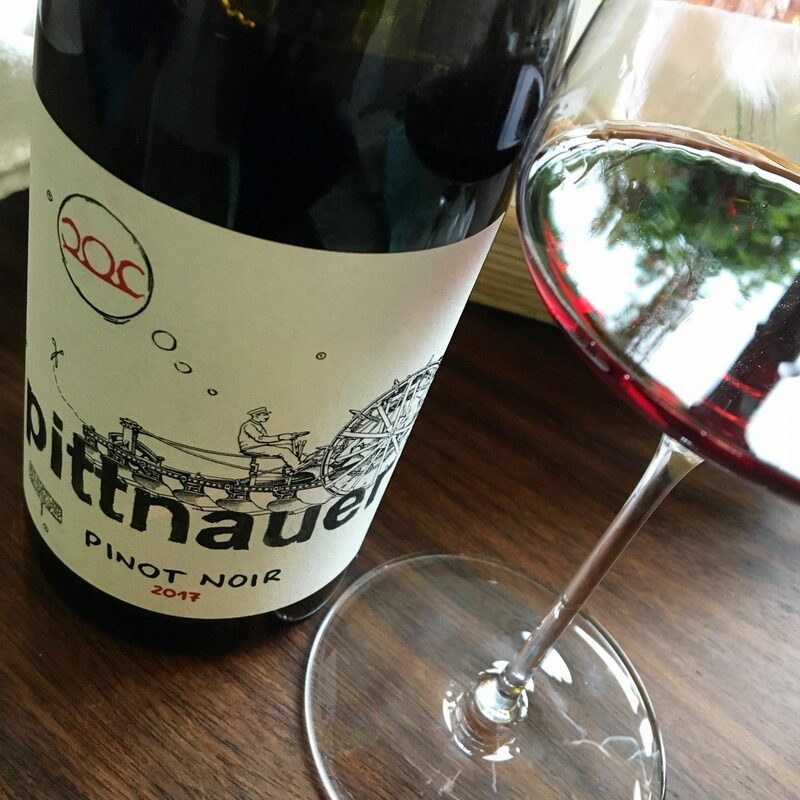 This entry-level Pinot from Pittnauer exhibited mushroom and earthy characteristics along with dark cherry and wild blackberry. There was a rusticity about the wine that lovers of an earthier style of Pinot will love. Medium plus acid along with mild tannins, this seemed almost Burgundian to me. St. Laurent, like Pinot Noir to which it’s often compared, can be tricky to grow given its sensitivity to the elements. And like Pinot, it is a high acid wine that doesn’t lose its acid even in warmer temps, which is part of the reason it thrives in the warm Burgenland climate without being flabby and unstructured. This one had a herbaceous and earthy, savory quality accompanied by subtle cherry and spice in the background. Fresh fruit accompanied by lively acidity, it was smooth and silky with great depth that lingers. As I did with Judith Beck and Paul Achs,4 tasted the Pittnauer Pannobile wine. 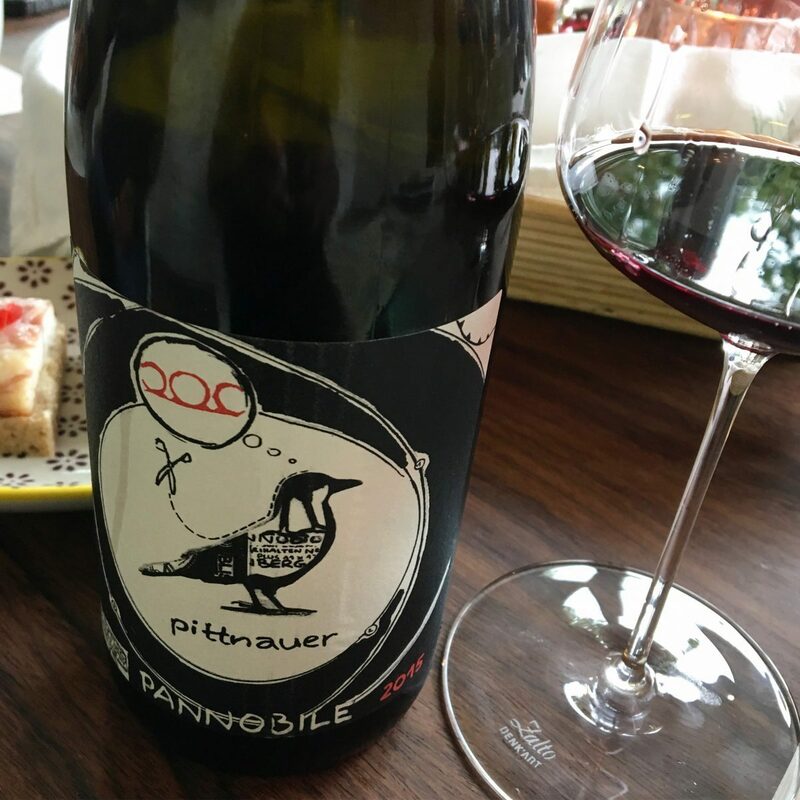 The Pittnauer Pannobile wine was a blend of Blaufränkisch and Zweigelt, with no St. Laurent this time around. Even without the addition of the St. Laurent, this one showed a nice level of refreshing acidity along with fleshy red berry fruit, earthiness, vanilla, and smooth tannins. As Gerhard emphasized, the idea of the Pannobile wine is to use the best fruit from the best sites and this was indeed a fine sip. The Ungerberg Vineyard, which is part of the Parndorfer Platte,5 is regarded as one of the premier sites in the area. With a little bottle age, this one had settled in and was a joy to drink. I don’t know what it was like in its youth, but it seemed to have found its prime with a few years in the bottle. Gerhard shared that this was wife, Brigette’s, all time favorite and I can certainly see why. The fruit for this one is sourced from the single vineyard Ungerberg. This vineyard, with its higher clay content provided a wine that exhibited great structure with cinnamon spice, cherry, and plum. A nice balance between the juicy fruit and the fine tannins and still present acidity. To keep me on my toes, Gerhard whipped out this beauty to cap off our tasting. Like the Blaufränkisch, this one comes from one of the prime vineyards on the Parndorfer Platte. Crafted of an unexpected 100% Merlot from the famed Altenberg vineyard, and from what he says was a terrible vintage, a great deal of work went into picking out the best individual grapes and still crafting a delicious wine. This was an excellent example of how a prime vineyard can produce quality fruit even in a down year. I would be remiss if I didn’t mention the tasty bites prepared by Gerhard. Talk about a jack of all trades! So Gerhard is a bit of a foodie and had absolutely the best nibbles with the wine. This smoked eel was the business! 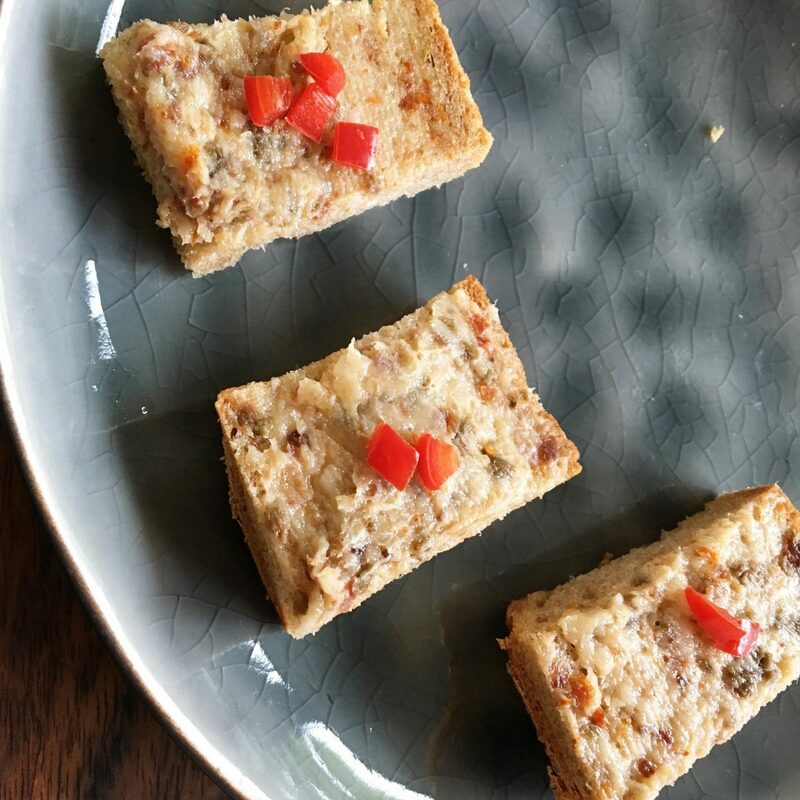 He also prepared some tasty traditional Verhackert which is a spread of minced pork and other seasonings. 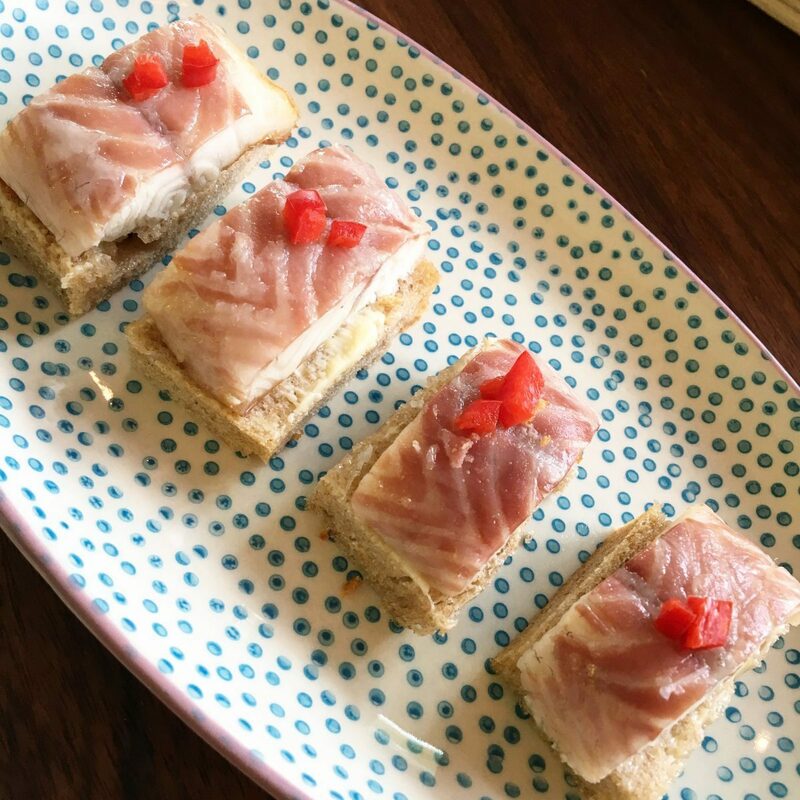 The ingredients are pressed together into a spread and served served cold with bread. Tasty! Pittnauer exports about 40% of its wines with a significant amount going to Australia as well as the USA. Tastings are available by appointment. Be sure to also check out my visits with Paul Achs and Judith Beck with whom I had the pleasure of visiting. The labels are designed by eastern German artist Tobias Hermeling. Gerhard also crafts a Rose Pet-Nat wine as well as a traditional method sparkler. Be sure to check out these fabulous tastings as well. The Parndorfer Platte is the major source of the wines for the Pannobile winemakers. The south-facing slope is located near the village of Gols and features complex soils, which together with the slope’s southerly aspect produce wines that are profound, complex, and that offer longevity. It is the source of three special single vineyard sites – Ungerberg, Spiegel, and Altenberg.